Setting up inside Las Vegas' brand new Park MGM Resort (previously the Monte Carlo) is the latest outpost of San Diego-based, fast-casual fried chicken concept The Crack Shack, which has been on an expansion spree since launching in 2015. Celebrity Chef Richard Blais - known for appearances on Top Chef, Top Chef All-Stars, Iron Chef America, and more - along with his business partner Mike Rosen opened the flagship The Crack Shack location in the space adjacent to their Juniper + Ivy restaurant in November 2015. The fast-casual, counter-service bar and eatery was an instant hit, resulting in a second location opening in Encinitas in early 2017, a third outpost in Orange County's Costa Mesa, and a Los Angeles branch that opened in Westfield Century City earlier this year. Another Los Angeles branch is planned for Pasadena, with the company rumored to be looking for a location for a La Jolla outpost. The Las Vegas Crack Shack will be installed next door to the city's first Eataly location within the new Park MGM Resort. Like other locations, the restaurant will have walk-up counter service for ordering, a full bar, yard games, and al-fresco patio seating. The menu will be the same, centered around poultry-based sandwiches, fried chicken, salads, and appetizers. 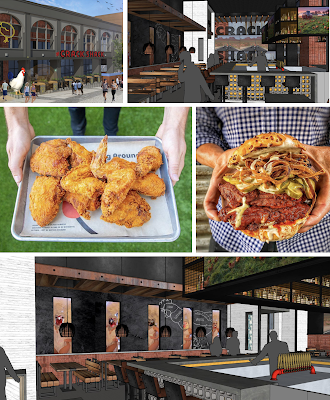 The Crack Shack will join other premier dining outlets at Park MGM, including Roy Choi’s Best Friend, Hogsalt Hospitality’s Bavette’s Steakhouse, and chef Daniel Humm and restaurateur Will Guidara’s NoMad Restaurant. For more information about The Crack Shack, visit crackshack.com.